"For all your days be prepared, and meet them ever alike. When you are the anvil, bear - when you are the hammer, strike." 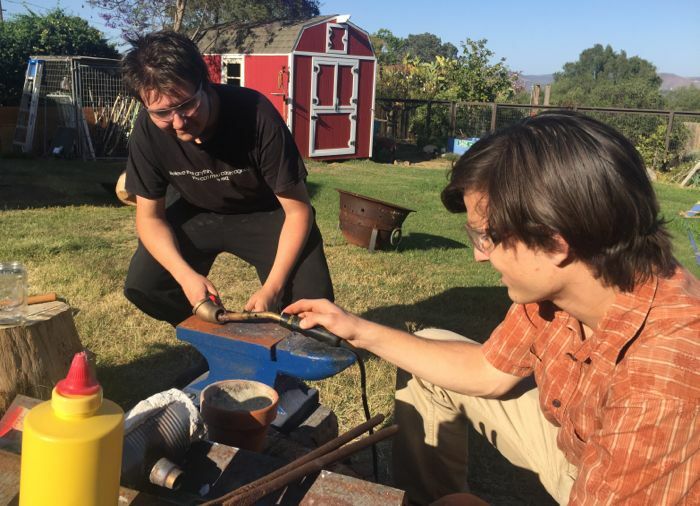 Somewhere there is a list of all the things we hope to make, that we want to make, that we are compelled to make, and it includes build a forge. The list isn't exactly 'written down,' and we may not always agree on what's at the the top of the list, but the list does exist, and we do aspire to address every line of it, sooner or later. Alex was probably the first one to dream of a home forge, and I am sure Geoff agreed it would be good, William, too. 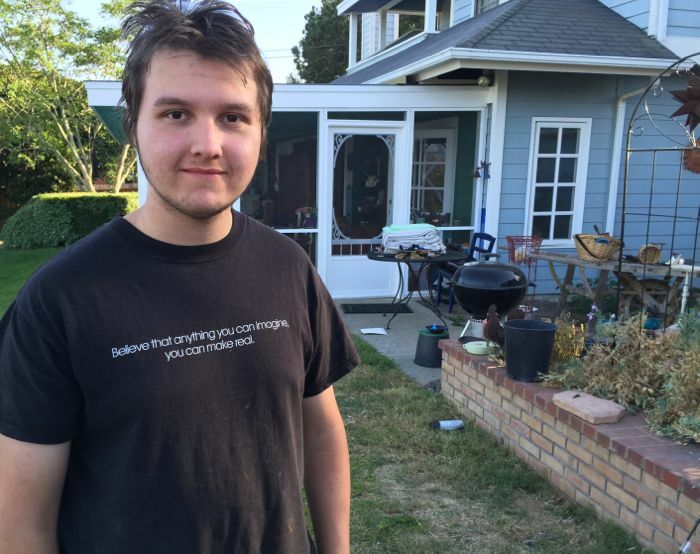 No doubt Max has been on board since his freshmen year metals class. It's certainly something the children have dabbled with for many years. Well, some things on our make list happen right away, and some develop over time, organically. Last September we acquired an anvil, which is a good first step toward building a metal heating hearth. Then at a Viking Festival Alex was recruited as blacksmithing apprentice, and this only fueled the fire. 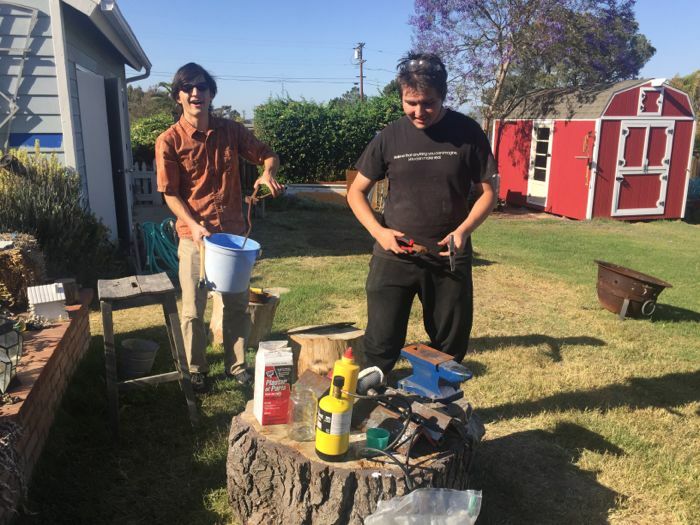 Then, as though it were suddenly, Alex brought build a forge to the top of the list; he called his good friend James to come over, then he collected and gathered all the parts to make a soup can forge. The iron nail was a fun one to heat up. 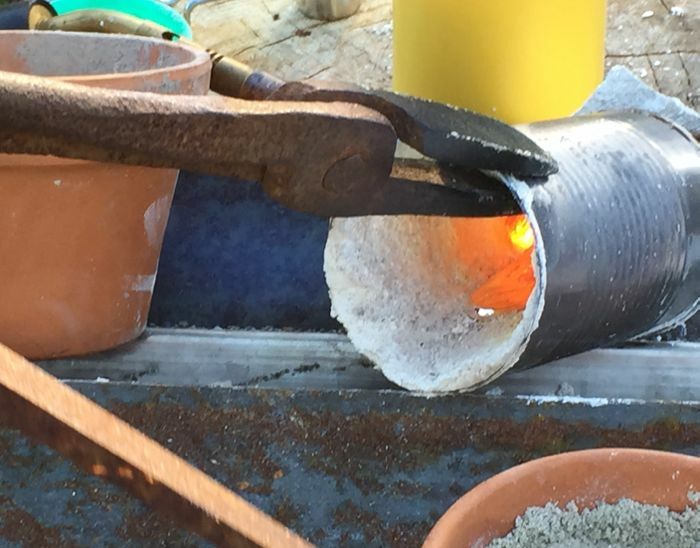 Iron's melting point (2,800 degrees fahrenheit) is too high for this mini-forge, which was probably topping off at about 1,800 degrees fahrenheit. 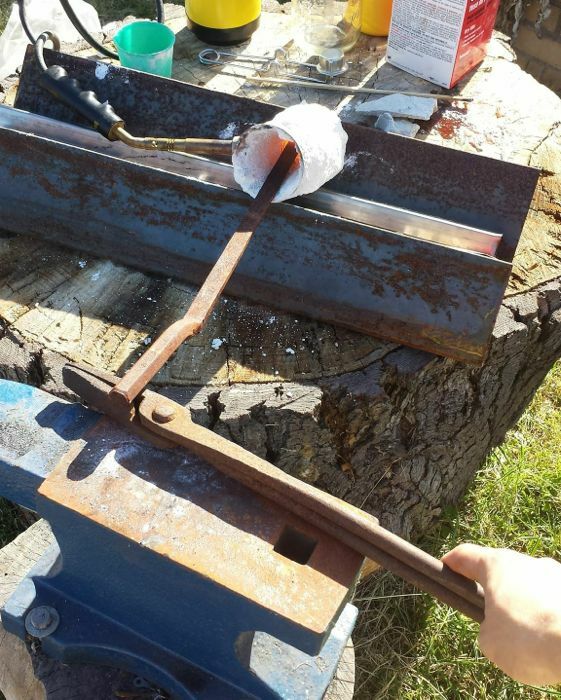 The soup can forge is sufficiently hot enough to soften the iron nails, so they can be hammered and shaped. 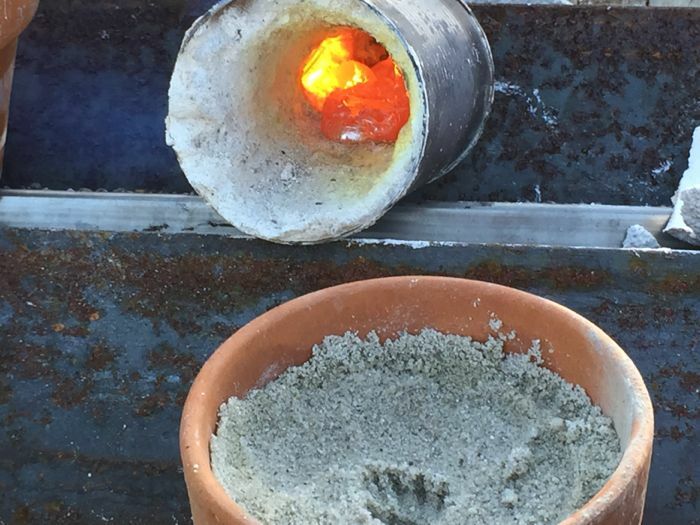 Copper has a much lower melting point, so we scrounged for some copper pennies, and put them in a steel pipe... the steel pipe turned out to be less effective than just sitting the pennies directly in the forge. 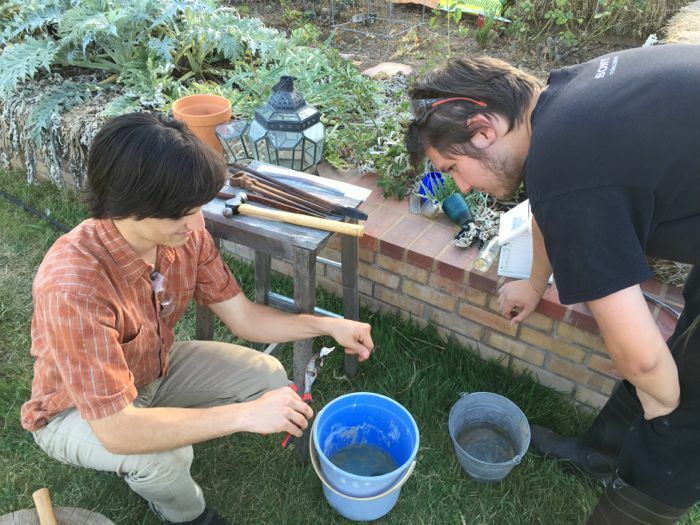 Alex prepared some sand with the impression of a sea shell to pour the molten copper into. 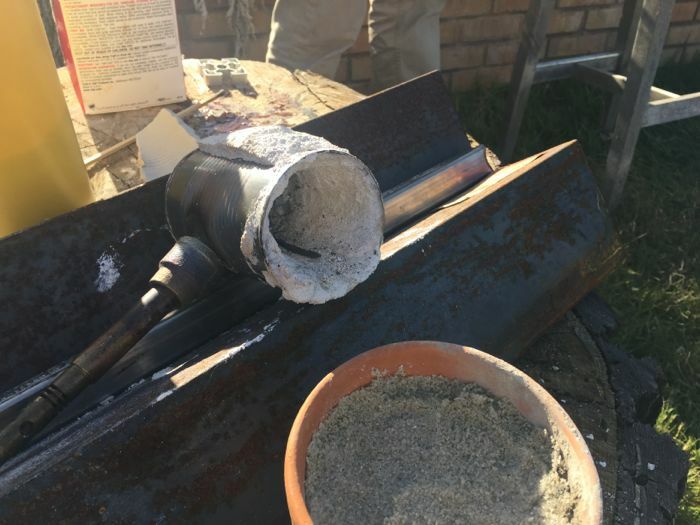 They were able to get the copper very hot, but it would cool as soon as the heat was removed, and it wasn't possible to pour the copper into the mold before it hardened. No surprise, since they knew the forge was almost 200 degrees cooler than necessary to really heat the copper up. So... what next? Aluminum! 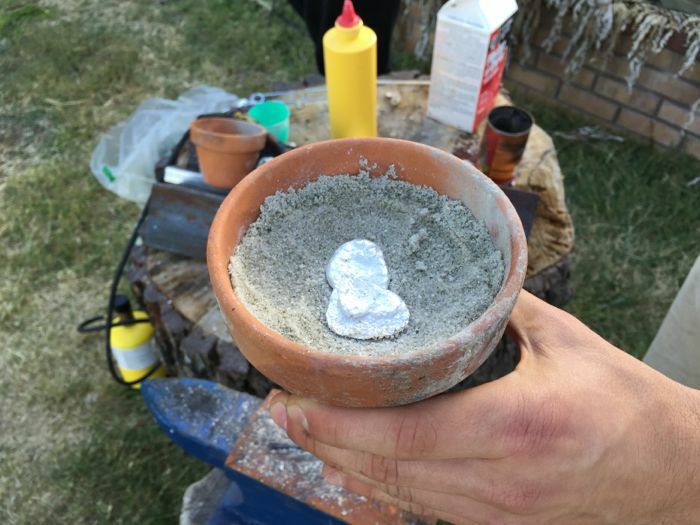 Aluminum, with a melting point of only 1,221 degrees fahrenheit! A perfect match for the heat of the soup can forge. and poured easily into the sand. Ideally this would not be "playground" sand, but a special sand combination called green sand: "...there are many recipes for the proportion of clay, but they all strike different balances between moldability, surface finish, and ability of the hot molten metal to degas." We have a homemade aluminum sea shell blob. Which is really cool. 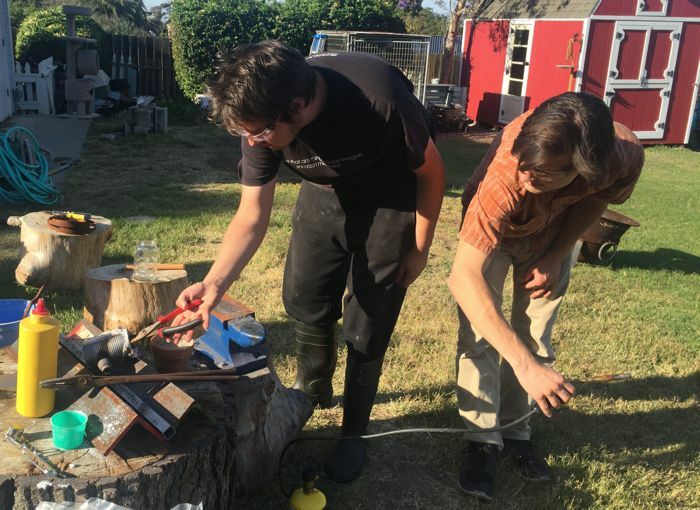 Things have come a long way from those first fire lessons, and it's wonderful to know that all of their experiences, at home, at Maker Faire, in the school metal shop... it builds, evolves, and inspires next steps, new paths, more confidence, bigger ideas. 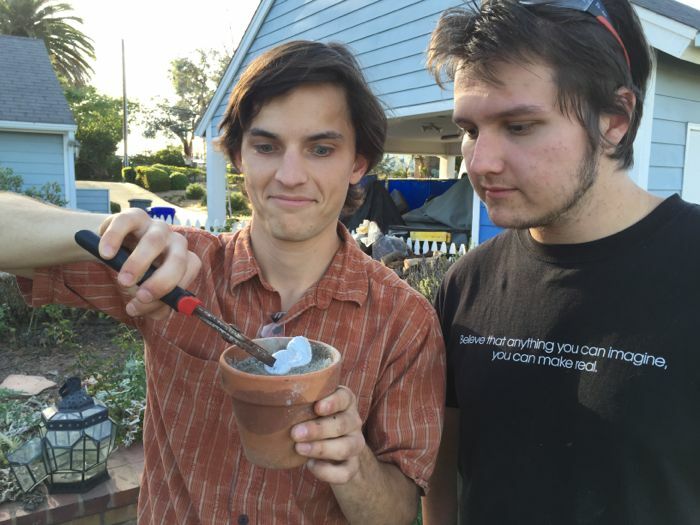 Alex called this experiment "Good fun, but we need the big one." And the iron nail? 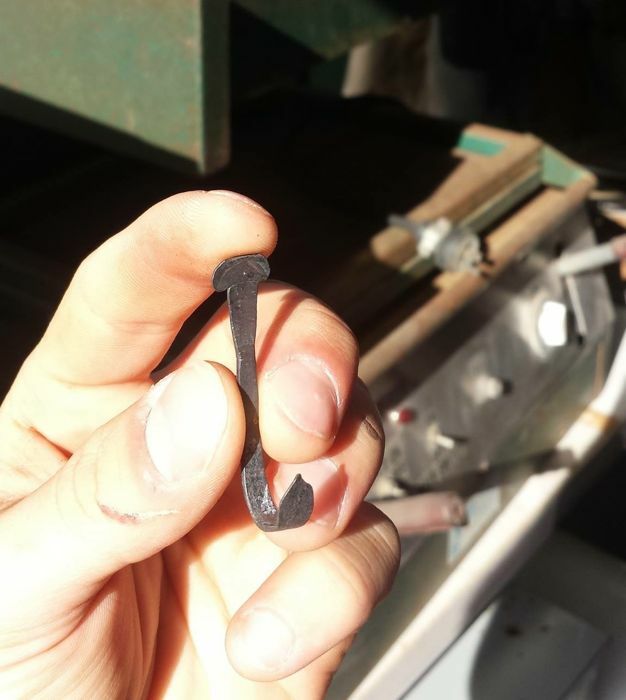 They made it into a mini hook! I'd like about ten more of these, for hanging art on the porch, please! So cool! I especially like the nail hook! I'd like 10 also please! I took a glass blowing class once and the forge was amazingly hot and beyond what I could do but this looks great! I bought a bunch of fire bricks and fiber to build a mailbox forge but never finished it...I should return to that...I'd love to do some of this as well!